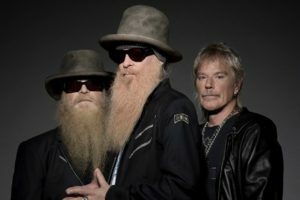 We’re pretty sure that when you think bands with beards, you think of ZZ Top. Who doesn’t, right? Anyone who’s ever heard the awesome music of the Australian group The Beards… that’s who! Originally founded back in 2005 in Adelaide, South Australia — not be confused with Arendelle, the fictional home of Anna and Elsa — the foursome have since developed a cult following by singing about nothin’ but beards, beards, beards. (In fact, that happened to be the name of their second album… <i>Beards, Beards, Beards</i>! In 2015, the band marked a decade of making music by putting out a 2-disc compilation called “Ten Long Years, One Long Beard” and now, it looks as if they are doing a farewell tour, with their final performance slated to be held October 28, at The Governor Hindmarsh in the place where it all started, Adelaide, Australia. We’re not sure exactly why they’re calling it quits… heck, maybe they’re just itching to shave! But we know that if they put on a show anywhere we can get to, we’ll be there! 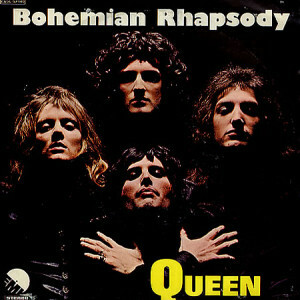 Bohemian Rhapsody… With A Twist! It’s probably safe to say that Queen’s Bohemian Rhapsody is one of the best known pieces of music from the modern rock era. Thanks to its use in movies, TV shows and advertisements, even people who think they don’t know the tune have probably had the earworm stuck in their head.